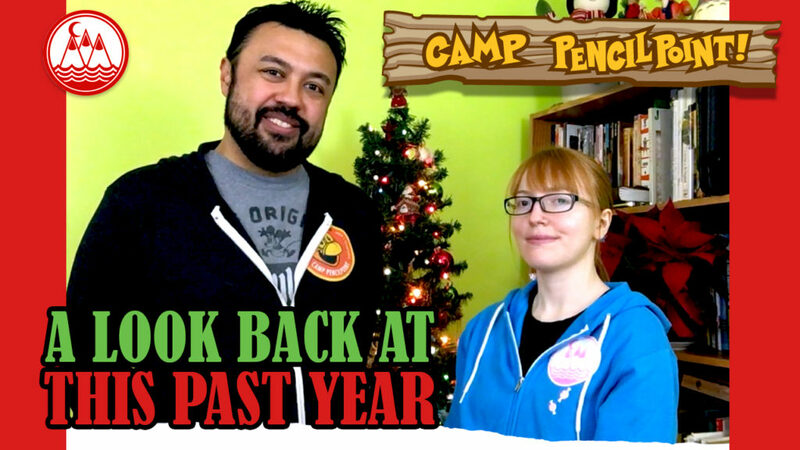 Camp PencilPoint 2018 Recap– Join us as we take a look back on some of our favorite highlights from our 2018 drawing videos. 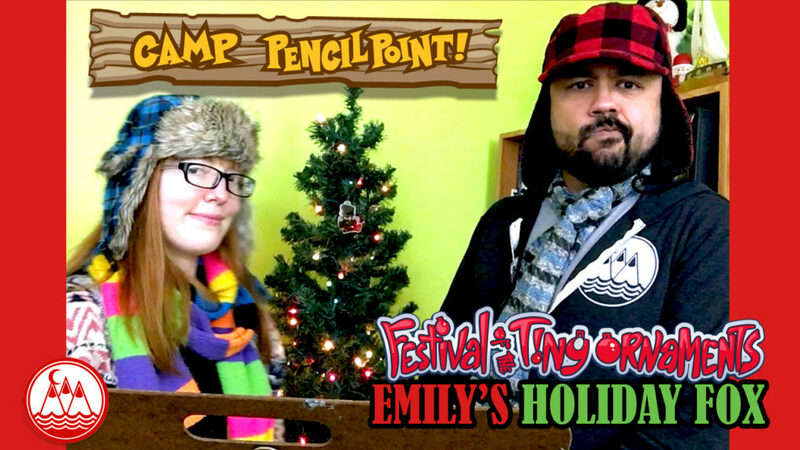 Emily and Joe Foo get nostalgic reminiscing over our favorite live sketches, Draw or Pie and the many locations where we were able to draw throughout the course of the year. We can’t wait to see what we will draw and the tomfoolery that will ensue in 2019! 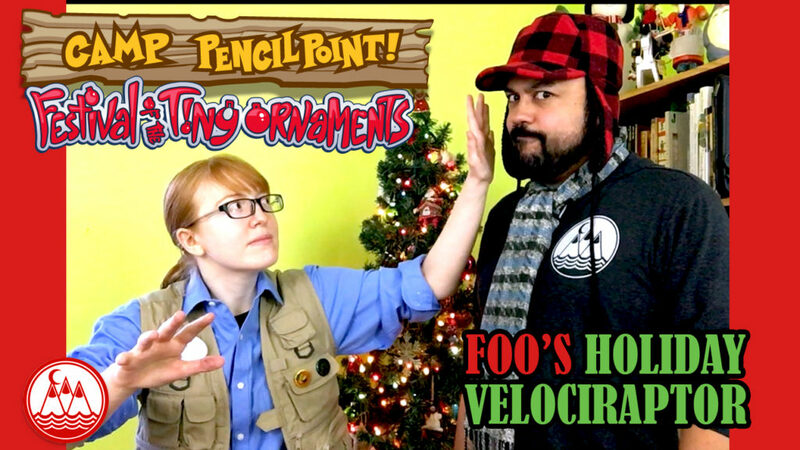 Ready your ears for Emily’s rendition of Auld Lang Syne and hum along as Joe Foo recaps a wonderful year full of drawing and tomfoolery. Highlights include when Emily drew a Potato Dog and Joshua drew an elephant blindfolded. 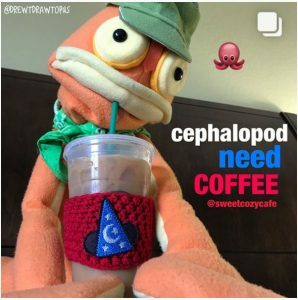 Check out our past drawing videos and so much more at CampPencilPoint.com for all your drawing and creative needs. Festival of the Tiny Ornaments — Break out the merriment, break out the cheer and break out your art supplies! It is time to draw the second ornament of the holiday season! Let us spread our joy and our creativity. This is the Festival of the Tiny Ornaments, and now it is time to create some holiday decorations of your own! 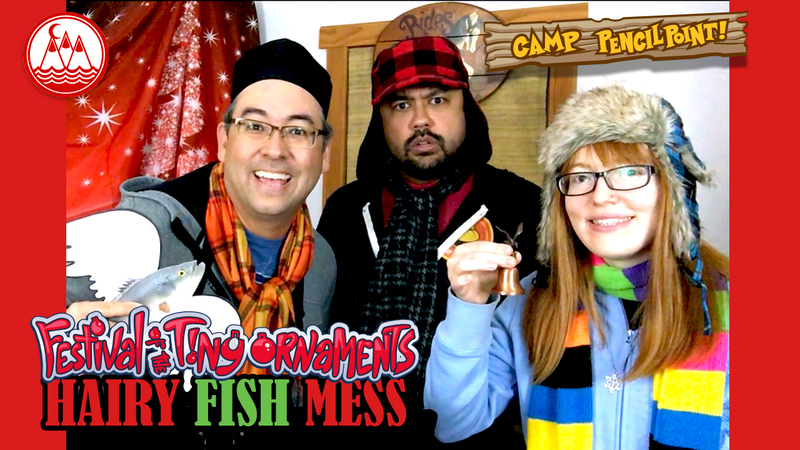 Join Emily and Joe Foo as they wish you a Hairy Fish Mess to you and your family! Draw along with Emily and all of the artists of Camp PencilPoint. Check out CampPencilPoint.com and you can download the custom shape for this year’s ornament. You can use this shape to draw your own festive creature. Through suggestion, Emily drew a cute holiday fox in this week’s video! You can choose any creature your heart desires. And check out Chef Miker’s Hairy Fish Mess Ornament which can be seen by clicking on this video.